Matthew Wright averaged 23.1 points for the Dragons in the ABL regular season. MATTHEW Wright's inclusion in the Gilas pool for the coming Fiba Asia Challenge Cup is just for starters. Gilas Pilipinas team manager Butch Antonio confirmed on Wednesday the crack Fil-Canadian guard is in talks with the Samahang Basketbol ng Pilipinas (SBP) to be part of the new national pool that is being formed for the home-and-away qualifiers for the 2019 Fiba World Cup. Wright, according to Antonio, agreed to be part of the 24-man pool which the SBP formed for the Fiba Asia Challenge Cup in Iran from September 9-18, joining amateur standouts like Kiefer Ravena, Mac Belo, Kevin Ferrer, and Mike Tolomia as well as PBA players JP Erram, Matt Ganuelas Rosser and Almond Vosotros. If all goes well, Wright's commitment to Gilas may go beyond the Challenge Cup, Antonio said. "We're talking," said Antonio when asked about Wright's possible inclusion in the new Gilas pool which the SBP is set to form for the Fiba World Cup qualifiers. "He has agreed to be part of the pool for the Fiba Asia Challenge Cup but beyond that, we're still talking. "The communication lines are open." Wright, 25, should be a good addition to the Gilas pool. 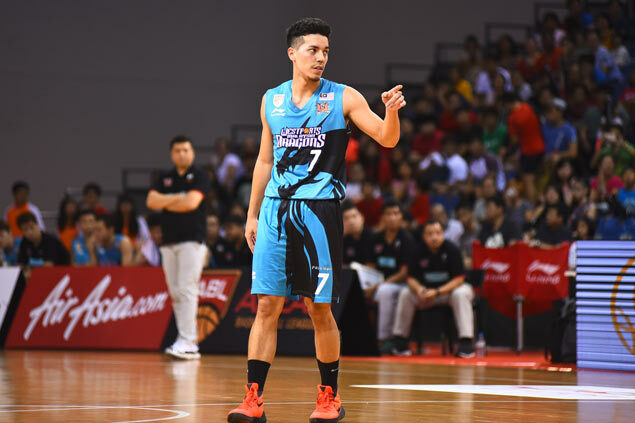 The former standout of NCAA Division I school St. Bonaventure is coming off a big season in the Asean Basketball League (ABL) where he led Westsports Malaysia Dragons to the title while winning Asean Heritage MVP honors. The Dragons star was raised in Toronto but Antonio confirmed he was a holder of a Philippine passport long before he turned 16 - a key eligibility requirement of Fiba. Wright, in fact, already played for the Philippine Youth team back in 2008, when, at 17, he and good friend Norbert Torres (now with Phoenix in the PBA) made the trip to Manila to join a team coached by Franz Pumaren. “It made me proud to be a Filipino. Before, I see myself as a Canadian and after I played for the Philippines, you hear the anthem, you see how much the fans care and the players care, it really instilled national pride in you,” Wright told SPIN.ph writer Reuben Terrado in a March 2016 interview.